Lophelia pertusa hard coral, white “black” coral Leiopathes glaberrima, and a bamboo coral bush to the right. 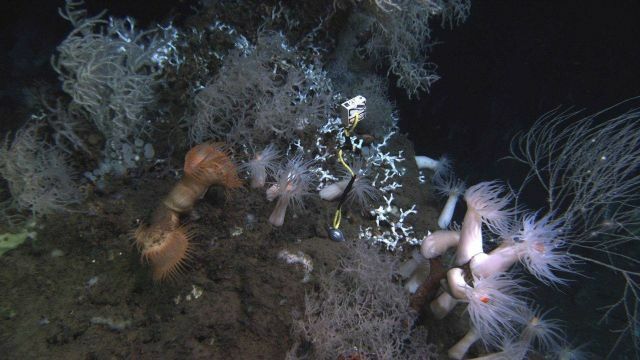 Large orange venus flytrap anemones, white anemones with orange mouths, a small white anemome, and a variety of sponges including lollypop sponges. This is a repeat observation station as noted by the anchored float with yellow polyethylene rope.